We are now taking applications for another Program Coordinator slot, with an 18 month term starting on October 1st, 2018. We are also looking for Level 3 judges who want to join the selection committee. The description of the Program Coordinator role is available here. The role requires significant time investment on a weekly and sometimes daily basis. It requires wisdom, diplomacy, focus on goals, teamwork and integrity. Being selected means that you are committing to significant amounts of work – it is not an achievement or a badge of honor. If you want to apply for the role of Program Coordinator, send a message to pc-selection@googlegroups.com with the subject “PC application – YOUR NAME” before Saturday, August 4th. In your message, include the following three questions (and your answer). “Why should you be a Program Coordinator? Please list your past accomplishments related to the judge program that you believe have prepared you for this role. Please also provide 3 recommendations from other Level 3 judges who are not applying for this role or are a part of the selection committee. Level 3 judges recommending you will be free to choose the format and the style for their recommendation. A Level 3 judge may recommend only one applicant. No more than three recommendations will be considered. Applicants are strongly encouraged to seek recommendations from judges who represent diverse perspectives within the program, including diverse geo-regional communities. Only Level 3 judges without any previous suspensions by the Player Investigation Committee or by the Judge Conduct Committee are eligible. The names of the applicants will be published after the application window has closed. This time we are also planning to publish the stage 1 applications (the answers to above questions). Stage 2 questions (personalized follow-up questions) will not be published and candidates are expected to keep them private. Anyone will be able to send any significant information about the candidates sending a mail to pc-selection@googlegroups.com (before sending any message, we encourage you to check with your Regional Coordinator if your message is appropriate and significant). 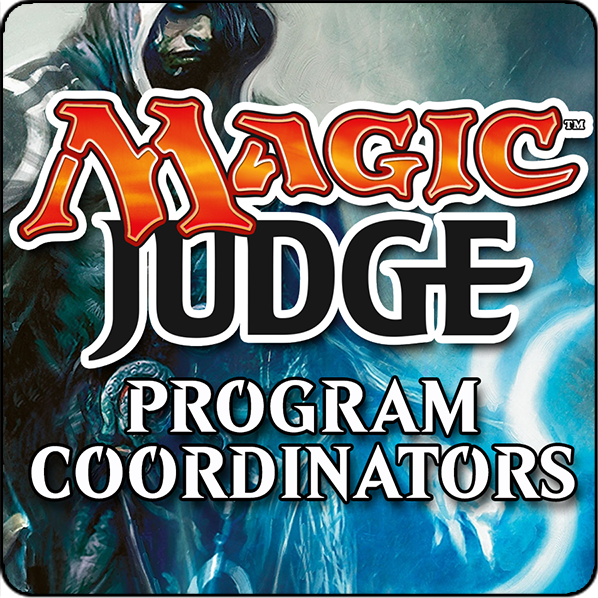 The full application of each candidate will be shared with all future Program Coordinators. All applications will be evaluated in the first half of August and any follow up questions or interviews will happen later that month and in early September. The selected Program Coordinator will be announced in September, and their term will begin on October 1st, 2018. We are looking for Level 3 judges to join the selection committee. We are hoping to form a diverse group of judges who have good knowledge of the judge program, its members and its values. If you are interested in contributing, please send an e-mail to pc-selection@googlegroups.com by July 29th. Selection committee members will be confirmed soon afterwards. Selection committee members are expected to be available to discuss and evaluate applications between August 4th and August 19th, and between September 3rd and September 15th.